Our Approach is to listen to your concerns and clarify your challenges, in a collaborative, non-judgemental way. 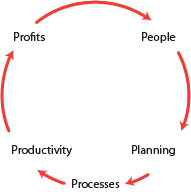 We seek to solve your problems by applying proven structured processes to recommend and implement effective actions. Think of us as supporting you. We are on your side. We do what you may not have the expertise or time for. It is sometimes difficult to get a good view of your systems from within your organisation : it takes an outside perspective to do that. Planning – aligning business strategies with vision.